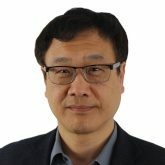 Dr. Jian Zhang is an Associate Professor in International Studies and Deputy Head of the School of Humanities and Social Sciences, UNSW Canberra at the Australian Defence Force Academy, the University of New South Wales, Australia. He is an Associate Senior Research Fellow at ISDP. Dr. Zhang specialises in Asian security affairs, China’s foreign and security policies, Chinese military affairs and Australia-China relations. He is also a member of the Australian Committee of the Council for Security Cooperation in the Asia Pacific (Aus-CSCAP), and a member-at-large of the Executive Committee (2018-2021) of International Studies Association (ISA) Asia-Pacific. Dr. Zhang was a visiting fellow at ISDP September-December 2018. Summary and Video of the ISDP Forum China-Europe Relations – Toward Reconciling Diverging Interests?